Digital World Tokyo | Tokyo Metro iPhone app free giveaway! 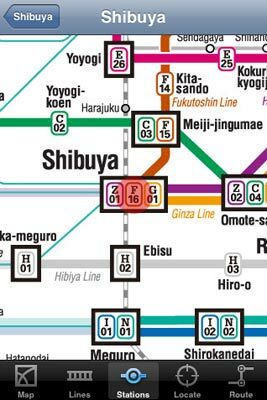 Tokyo Metro – normally a $5 download from iTunes – covers the metropolis’s underground network, as well as JR lines like the Chuo and Yamanote-sen. Naturally, it’s multilingual – English, Japanese, French, German and Spanish – and packed with features. There’s a route planner, location finder for getting to the nearest station quickly and smart bookmarking options. Oh, and it works while you’re underground as well. We have promo codes for readers with US iTunes accounts (you can create a US account wherever you are, BTW) to get the app for free. All you have to do is post details of this story and its link to your friends on Twitter and let us know the URL of your tweet in the comments below.